On September 29th, 2010, the US expanded sanctions against Iran to include the sale of Persian rugs. If you caught up with our Oriental Rug Cheat Sheet, you'll know that all Persian rugs are made in Iran. 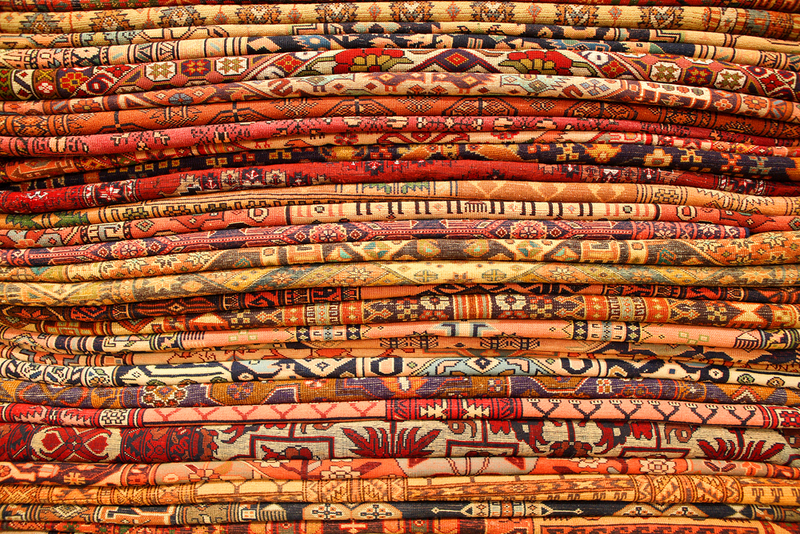 After the sanctions were set in place, the import of these rugs is now illegal, effectively cutting off the supply and making traditionally hand-woven Persian rugs a rarity. Following the Iranian Revolution 1979, a new government was set in place that went against the interests of the American government. Prior to this, ties between the US and Iran were lukewarm at best; but after the Revolution, Iran's interest in acquiring fissile material worried both the UN and Iran's neighbors. Sanctions were set into place that would take a massive toll on both the government and people of Iran in order to prevent them from attaining a nuclear weapon. When the sanctions were proven in 1995, and then 2010, to be ineffective in the prevention of Iran's nuclear armament, further sanctions and embargos were set into place, including the banning of Iranian-made carpets. How Does This Affect the Rug Market? When the deadline of September 29th was set into place, consumers looked at it as an investment opportunity. Sales of Persian rugs skyrocketed and so did their prices. There was a limited number of rugs that could be imported within that window of time, and appreciators of Persian rugs and carpets jumped at their chance to get one final piece. After four years, prices of Persian rugs have settled along with their demand, and they are, on a general level, no more expensive than other well-made rugs. Although their prices are similar, Persian rugs are in the unique position of being technically scarce, but widely available. Because of their mass import before 2010, the pool of rugs already imported is large and varied. In the current political climate, there's no telling when the sanctions will be lifted, or when the next big Persian rug demand will come along. It's important to maintain your piece with regular cleaning, and if necessary, rug repair. Persian rugs are still an investment opportunity, and are among some of the finest rugs you can own. Not sure if your rug is handmade? Take a look at our infographic here for clues to your rug's origin and craft.